I don’t want to choose between them so I won’t. Both of these characters are fun and charming. 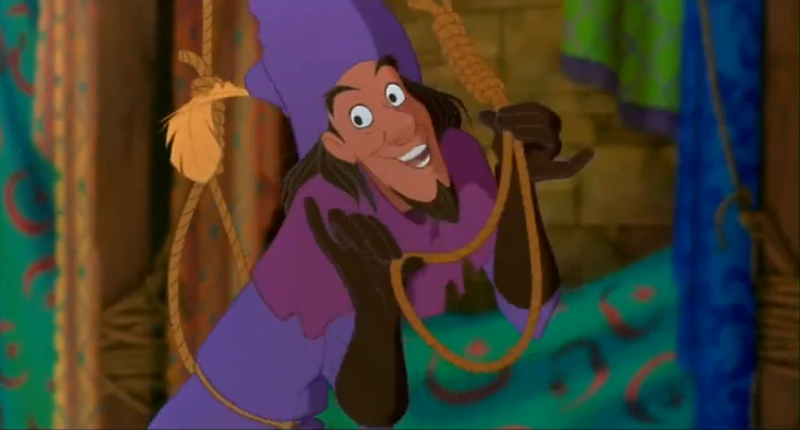 Much like Djali and Clopin, carpet is fun and charming. Also carpet is smart, laid-back, loyal and handsome (as far a carpets go). I had a hard time choosing. 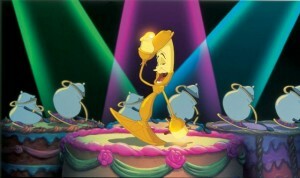 I really enjoy Gaston and Le Fou but Lumiere is fun. I say he edges them out by a small margin though I’m not sure why, maybe I like over the top musical numbers. Another Fun character, both smart and silly. Plus I liked it when he hit Simba on the head. What’s not to love? 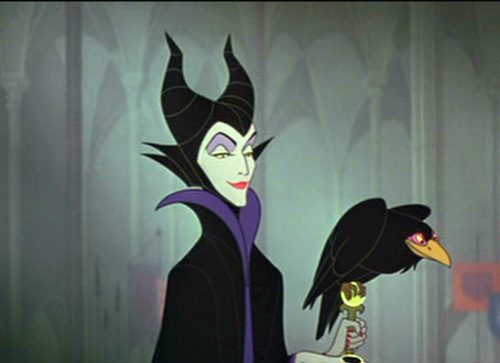 She’s a great fun villain. Gotta Love Eartha Kit in this. I also love Kronk, they play off each other well but Yzma edges out because she just reveals her schemes. He’s grumpy and smart ^^ . 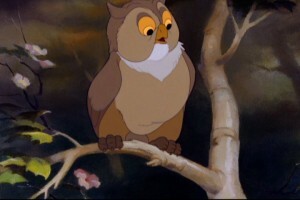 I also like Flower, he’s adorable, soft-spoken, endearing and innocent that is until he gets Twitterpated. She’s too delightful and Mad, and despite her limited screen time she’s the best part of this movie, that duel was awesome. I really like Hades as a villain, he cool and calulating, and that makes him fun as Hades ^_~ (bad joke). Except for the “badun” (Jasper & Horace), I actually like all the characters, but I’m a dog person so I’m just going to say Puppies ^^ though as a kid Penny and Lucky were my favorites. She maybe not be a typical fun character but she is the one having fun being evil and I like that. Plus she’s super stylious. Apparently I like the fun sidekicks and villains. Not a single protagonist. Perhaps Disney is better at creating villains and side-kicks. Maybe they try to hard to create likable protagoists that in the end they’re not really all that likable or interesting. Considering that people who responded didn’t list any protagonists either. If you would like to list your Disney favorite characters from any Disney you want, please feel free, maybe you can defend the protagonists, I just ask that you please include the Hunchback. 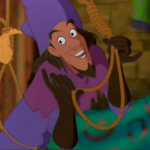 1: Dom Frollo. I don’t like to write it but I have alot in common with this characters. 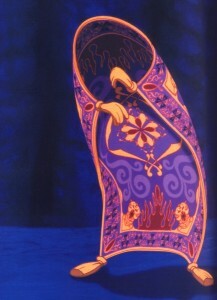 2: The explosive parrot from Aladdin. I actually didn’t dig that movie so much. 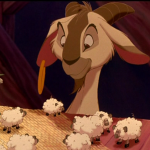 But it was a stroke of evil genius to put a comedian like Gilbert Gottfried in a Disney film. 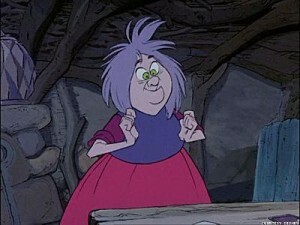 3: Taran from Black Cauldron. Favorite hero of my childhood, both in his literary and cinematic incarnations. 4: The wicked queen from Snow White. 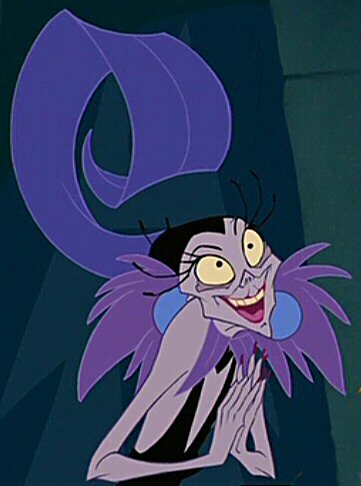 The first Disney villein is still the scariest. She orders Snow White’s heart cut out! 5: The satanic figure from Fantasia. 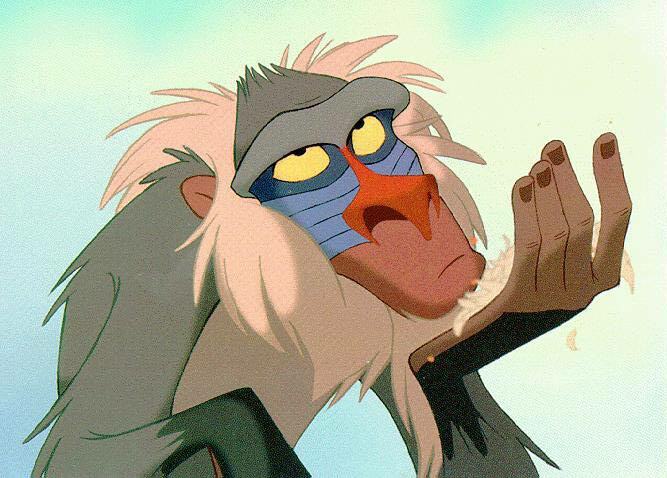 Maybe the second best villein. 6: The Sorcerer’s Apprentice. Mickey Mouse can be pretty appalling at times but he was good in this role. 7: Donald Duck in The Three Caballeros, an obscure flick made during FDR’s wartime good neighbor policy toward latin America. 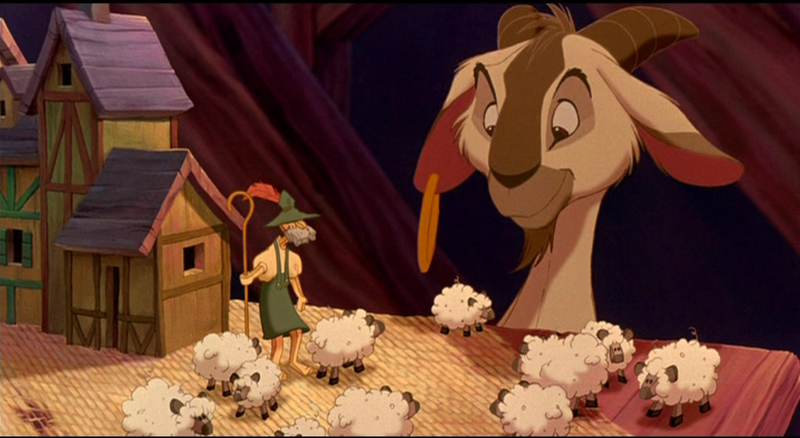 Proof that Disney animators were taking LSD before it was invented. Honorable mention for Roger Rabbit, who, because he was produced by Touchstone is only halfway a Disney character. When I was a kid, the protagonists’ stories didn’t really start until something was said about the villain. Let’s face it, without Ursula Ariel would just be some 16yr. old mermaid who had a major crush on a guy, Aurora’s story would have ended with the party if Malificent had been invited and the Dalmations would have just been a small litter of puppies had it not been for Cruella. The villains’ stories usually began before they met the protagonist. The sidekicks add humor and a diversion. But, over all the protagonists are kind of bland…they all have the same basic traits, they all have to rise up and be courageous against the villain. Yes, I like some of the Disney Heroines (not the princesses) I like Meg, Esmeralda and Mulan but that’s basically it. I like Meg because she’s got such a hard exterior, she’s sarcastic but at the same time she has a good heart and wants to care. 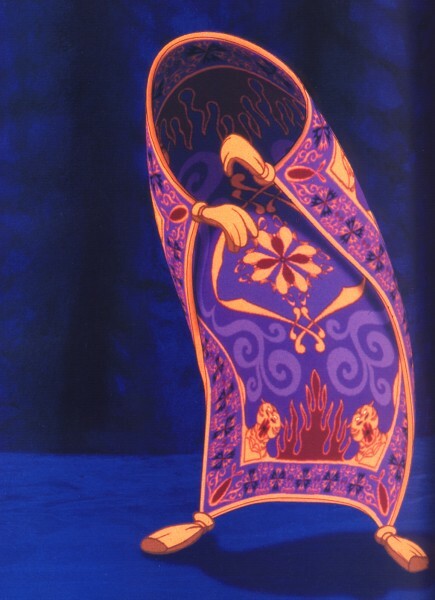 I like Esmeralda because…okay I’m going to try not to bring the book into this and judge the character solely on the Disney character; She’s not afraid to speak out against stuff she feels strongly against and she’s tough/scrappy. I like Mulan because as a kid I was in Kung-Fu and in the town I grew up in girls didn’t do martial arts, girls did ballet, gymnastics or figure skating. 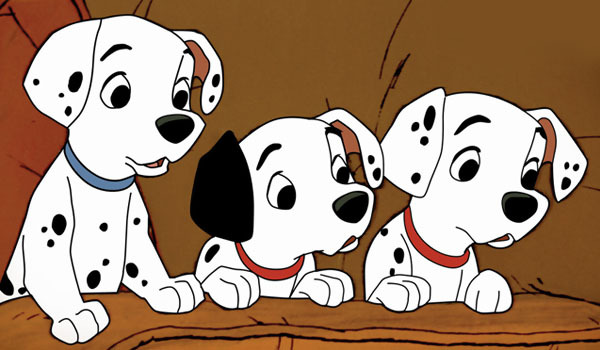 I grew up around mostly guys and recognized more with boys than girls, so I can understand how the character feels in the beginning. 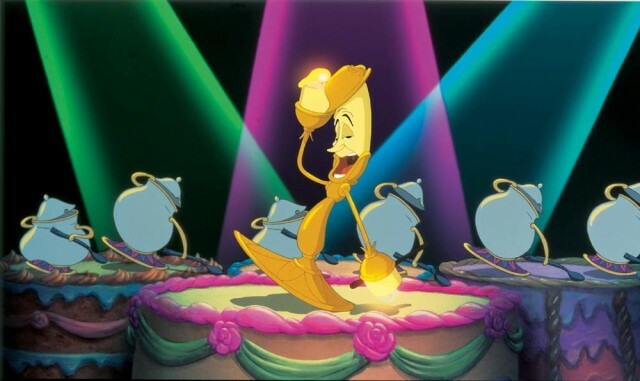 As for the sidekicks I’d have to say that Lumiere, Pain and Panic are my favorites. 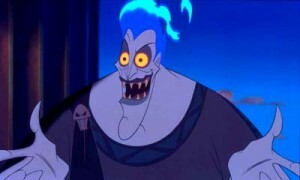 Pain and Panic just keep screwing up, which adds to Hades’ aggrevation and even as an adult it’s funny as Hades…yes, I too enjoy the bad joke. But the villains have to be good because they make the story, otherwise it would just be one or two bland characters just sitting around and who pays to see that?